While you have 3 or fewer cards in your hand, this card has +2 power. 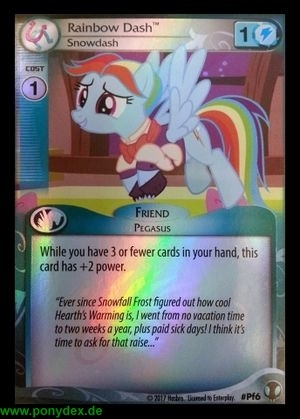 "Ever since Snowfall Frost figured out how cool Hearth's Warming is, I went from no vacation time to two weeks a year, plus paid sick days! I think it's time to ask for that raise..."